Gods promises always come true and they are promises for children too! God has given us many promises we can hold onto and remember. He has done this so that we can escape from the bad stuff of the world and share with Him in His divine kingdom (2 Peter 1:4). Since God cannot lie and is always truthful we can believe that God's promises will always happen in our lives if we trust in Him. Did you know that God promises to always protect us? Well He does! God wants us to know His name is like a strong tower. When we run to Him we can feel like we are in a safe, high place that is strong and can't be attacked. God is also like a giant bird who spreads His wings, covering and protecting us from harm or danger. God loves us so much that He will never forget about us or leave us all by ourselves. If we are afraid we should call on Him and He will deliver us from our fears. He especially wants us to know this is one of His promises for children because fear can be a very scary thing without God around. can live forever? We won't be able to live in our bodies the way they are now, but when we do die He has promised us that a part of us will go on and live in heaven with Jesus. When we accept in our hearts that Jesus died on the cross for our sins and was raised again we can inherit eternal salvation. That means that we can spend eternity in heaven with God if we choose to be one of His followers and believe that Jesus gave up his life for us. Now that is one of God's best promises for children because we will always be close to God forever. Did you know that God has promised to give us everything we need so that we never have to worry about going without food,shelter, or clothing. Gods promises provide us the desires of our heart, which means the things we really really want. But we have to be patient because these things may not come right away. 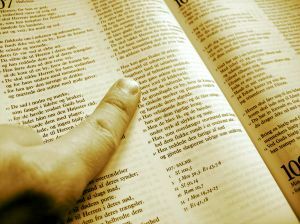 But most of all we have to make Jesus the most important thing in our lives and know His words which are in the bible. Did you know that one of Gods promises is to heal us? He promises to restore our health, heal our hurts and remove sickness from our body. Jesus took over our sins on the cross and by His wounds we are healed. All we need to do is believe that Jesus did this for us and believe that we can be healed because of this. Did you know that one of Gods promises is to answer our prayers? God wants us to know that whatever it is we ask for in prayer we will receive as long as we have faith and believe our prayers will be answered. We just need to keep asking and not give up if it does not happen right away. Sometimes God does not answer our prayers exactly the way we wish because He wants to give us something even better than we have asked for! Did you know God promises to always love us and this love He has for us cannot be taken away by anything. But we also have a responsibility to Him. That is to always try to follow his ways and allow Him to guide us. We also are commanded to love God with all our hearts and when we do we will see all the awesome things He has in store for us.